The extension, which EURACTIV highlighted as a possibility as early as 2017, can only be granted if all EU 27 agree. EURACTIV’s network of international reporters have gathered positions from national governments and a majority of member states seem to favour an extension, with the notable exception of France. Only France has said it may use its veto to block an extension of article 50, if this would be detrimental to the interests of the EU. An aide to French President Emmanuel Macron said on Tuesday a UK request for an extension to remain in the EU beyond 29 March deadline will not be “unquestioningly accepted”. “First point: is there a plan, a strategy, to justify an extension […] Second point: we need to look at the impact on the EU,” he added, saying that an extension would mean the UK participating in EU elections and in EU decision-making procedures. “If the hypothesis is to make a new referendum, we can consider a postponement of a few months” concedes the official. On the other hand, Paris does not rule out blocking a possible request for a postponement from the United Kingdom to the European Council. The decision must be taken unanimously, which means that each member state has the potential for a veto. For France, two criteria will count in a possible support for the British extension request: the likelihood that the British Parliament will end up ratifying the agreement, but also the impact of this extension on the European Union. “The interest of the EU must come first. If the UK remains, in the current terms they will participate in the European election, in the choice of the future president of the Commission, but also to the votes on the multi-annual financial framework,” warns Paris, who fears that the United Kingdom will continue to block the European decision-making process. Nathalie Loiseau, French minister for EU affairs who is also expected to lead Macron’s En Marche at the EU elections, has said any delay should come alongside with a credible initiative. “A short delay to ratify the Brexit agreement would be granted of course”. For Macron’s entourage, the solution could be in guarantees provided by the UK, for example on its non-participation in certain decisions. Chancellor Angela Merkel (CDU) has said she will try to avoid a chaotic Brexit “with all her strength”. “I will fight for an orderly Brexit until the very last hour of 29 March […] there is still some days left,” she added. Dutch PM Mark Rutte, who has compared Theresa May with the limbless knight of ‘Monty Python’, said that if the UK asks for an extension, he wants to know how long a postponement would take and what London seeks to achieve. “I have a lot of respect for Theresa May. She reminds me occasionally of that ‘Monty Python’ character where all his arms and legs are cut off and then says to his opponent: Let’s call it a draw”, Rutte said on 18 March. Belgian Foreign Minister Didier Reynders has said his country is not against an extension if London gives clarification on the next steps it wants to take. He has also signalled the EU leaders would be willing to hold an extra summit this month, should the 21-22 summit produce no result. “If it’s needed to have a solution, of course,” Reynders said of the possibility of EU leaders holding a meeting in March after their gathering later this week in Brussels. The position of Luxembourg is that there should be no extension past the European elections in May. The Visegrad group (Hungary, Slovakia, Czech Republic, Poland) surprisingly doesn’t have a unified stance. Diplomatic sources told EURACTIV.com that “Hungary shares the same opinion with Berlin on the issue”. This may sound surprising, but on Wednesday (20 March) the EPP will vote on whether to expel Viktor Orban’s Fidesz party, and Budapest may like to bring a sense of appeasement before the vote. In the Czech Republic, both Prime Minister Andrej Babiš and Foreign Minister Tomáš Petříček have been open to Britain’s request to postpone its EU departure. Babiš said that despite the fact it did not seem possible now, it would be best if the UK called a second referendum and decided to stay in the EU. In Slovakia, Lukáš Parízek, a State Secretary of the Ministry of Foreign and European Affairs expressed concern from the news from London regarding a possible delay of Brexit, adding that this would bring complications and uncertainty for Europe. He stressed that for Slovakia, unless the UK decides to stay in the EU, Brexit with a deal remains the preferred option. Poland seems to be ready to accept an extension. Foreign minister Jacek Czaputowicz said: “Maybe the UK needs more time to reflect on the whole situation, maybe it will become necessary to prolong this time for reflection”. Konrad Szymanski, his deputy for EU affairs, said the extension of negotiations “might be helpful and Poland will look closely at Great Britain’s request”. Przemyslaw Biskup from the Polish Institute of International Affairs, a government think-tank, said Warsaw would support an extension. “It’s in Poland’s vital interest to ensure stabilisation of the EU budget and the rights of Polish citizens in the UK”. A diplomat told EURACTIV that Italy’s two ruling parties are still considering the country’s position on the extension question; however, Foreign Minister Moavero has said on several occasions that a hard Brexit is not desirable. Italy’s general approach is to back an extension of Article 50, even though it is not clear for how long. Last week, rumours suggested that hard Brexiters had lobbied vice PM Salvini to veto an Article 50 extension. But Moavero said Rome neither discussed such a proposal, nor there was a formal request from the UK side. 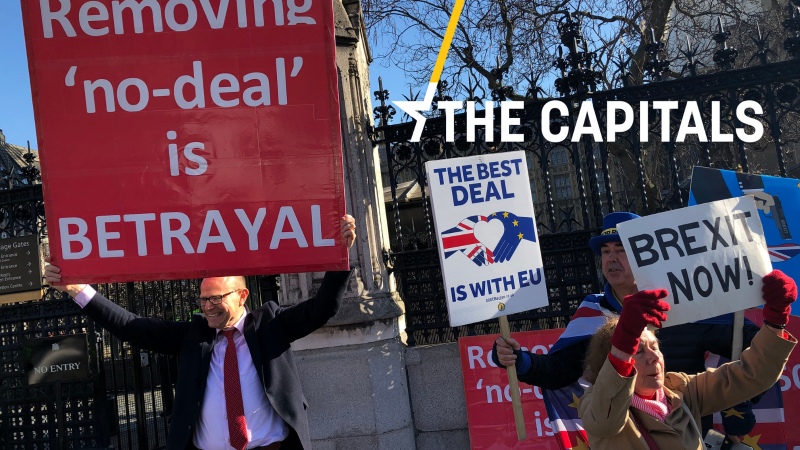 In Madrid, Spanish Foreign Affairs minister Josep Borrell said the “ideal” scenario would be for the British MPs to back the deal and therefore grant a technical extension to ratify it. “Maybe at the third time, they decide to accept the withdrawal agreement. That would be the best solution for everybody,” he said. Spain, he said, has no position yet on a long extension but warned that in case of a long extension, the UK would have to take part in the EU elections. “If I were a UK citizen I would ask for my right to elect the representatives of the UK to the EU Parliament,” Borrell said. Croatian Prime Minister Andrej Plenković said Zagreb would be open to the extension of Brexit. “We would like it to be short one, but we are ready for a longer as well although it brings series of questions like members of new European parliament”. In Greece, sources said there was not a clear position on a long postponement but “there is no way to block a commonly accepted decision on a large extension”. In Sofia, the government believes that the best option is the UK to leave the EU with a deal. In Bucharest, the Romanian foreign affairs ministry said the issue was being handled by President Iohannis, who last week opposed a disorderly Brexit. “President Klaus Iohannis will reiterate the need for maintaining EU27 unity during this process,” the presidency said in a statement. Moreover, EU affairs minister George Ciamba insisted that clarity is needed and the EU Council would test London’s political will. “There are things that we cannot do such as renegotiating the Withdrawal Agreement”. Germany vs US over defence spending: Chancellor Angela Merkel rejected US Ambassador Richard Grenell’s critics on German defence spending. Particularly, he accused the government of wanting to cut its “already unacceptable” spending, adding that this sent a “worrying signal”. Merkel said she wanted to “adjust one or two things” and pointed out that Germany’s share of the gross domestic product has risen steadily in the past years.